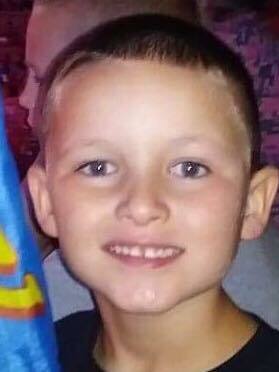 Braylen Andreas David Louderback, age 6 of Mount Gilead gained his wings too soon as he passed on July 24, 2018. He was born on November 4, 2011 to Christopher Louderback and Amber Nelson who survive in Mount Gilead. Braylen loved spending time outdoors, collecting rocks, loving flowers and plants, and fishing. He was a huge fan of the Ninja Turtles and Spiderman and enjoyed acting as Leonardo of the Turtles by throwing ninja stars at trees or dressing up as Spiderman and climbing trees. Braylen enjoyed playing with his Hot Wheels. He loved spending time with his family, especially his grandmothers and cousins. Braylen also loved going on family vacations, 4 wheelers and going on walks in the woods. Most importantly Braylen loved being close with God. In addition to his parents, Braylen is survived by three siblings; Noah, Mallori, and Jaxson Louderback of Mount Gilead; maternal grandparents Sheila and Jeff Minturn of Cardington; and paternal grandparents Terry and Debbie Louderback of Marion and Teresa Shears of Mount Gilead; numerous aunts, uncles and cousins. Friends may call on Monday, July 30, 2018 from 10:00am to 12:00pm at Gompf Funeral Home, 440 Center Street in Cardington. The funeral service will be held immediately following. Burial will take place in the Glendale Cemetery following the service. Those wishing to share a memory of Braylen or to express a condolence to the Louderback family may do so by visiting www.gompffh.com.